Our top-rated, energy-efficient bay windows will form a striking focal point for any room! 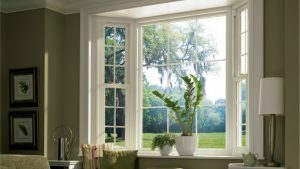 Add charm and abundant natural light to your home with Atlanta bay windows from your local replacement window experts! Since 2004, Tight Line Exteriors has been the premier provider of quality, affordable windows to the Greater Atlanta area. We’re part of this community, and we love helping local homeowners make the home improvements they need at cost-effective prices. With top national brands and a customer-first philosophy, we are your trusted resource and will always go the extra mile to ensure your satisfaction! Aesthetic Appeal: A bay window adds charm to both the interior and exterior of your home. Added Value: Energy-efficient replacement windows can increase property value and save you money each month on your heating and cooling bills. Great Views: If you love the view from your home, then the addition of a bay window will allow you to enjoy it even more! Quality Products: Replacement windows from Tight Line Exteriors will last a lifetime because we only use top-rated brands. Expert Installations: Our professional window installers have the training and expertise they need for flawless results. Plus, we stand behind our work with an installation warranty! Flexible Financing: Our financing options make it even easier to afford the beautiful replacement bay windows you deserve. Get a Free Quote From Your Replacement Windows Experts! Tight Line Exteriors is Greater Atlanta’s most trusted choice for energy-efficient replacement windows and other home improvements. Contact us today to speak with a member of our team or to schedule your free, no-obligation estimate. Give us a call or fill out our online contact form to get started!